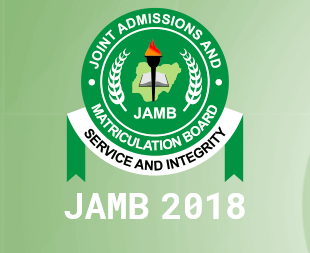 The Joint Admission Matriculation Board, JAMB Gives Explanation and Reasons why Some Candidates 2018 UTME Results Where Removed From Its Portal. Many candidates has lamented over some foul plays being carried out by JAMB on some candidates 2018 UTME Results. They have complained that their earlier results no longer available again on the boards portal, many cried that they always get "You do not have any result yet” or “You did not write the examination, even when their results were released before. Reacting to this complaint earlier on Monday 9th April, 2018 the The Board’s Head of Media, Dr Fabian Benjamin in Abuja during an interview with the News Agency of Nigeria, NAN, disclosed that candidates whose results were earlier released but can no longer access it again means that the results has been withheld or cancelled and will be investigated further. He also said that the board may reschedule the examinations for some whose cases were exceptional but some results may have been withheld. “However, there are exceptions and the board intends to reschedule the examinations for those who fall in that category but they would be contacted before then,”.